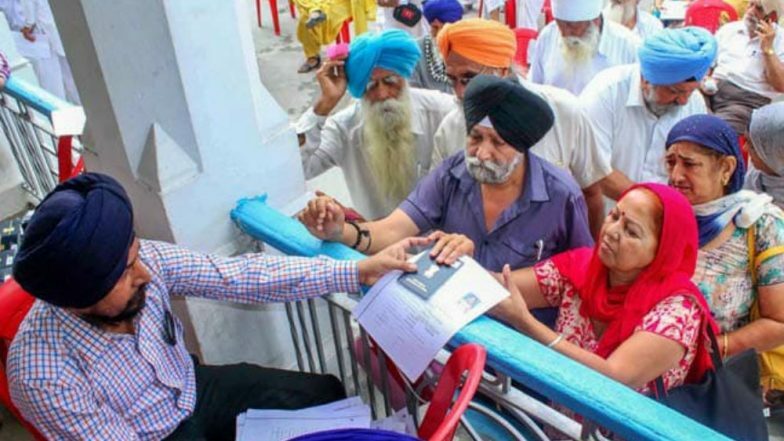 New Delhi, April 10: In a bid to facilitate the participation of pilgrims during the annual Baisakhi celebrations, Pakistan has issued visas to 2,200 Indian Sikh devotees this year. The Pakistan High Commissioner on Tuesday confirmed the development and said the gesture by Pakistan to issue these visas was reflective of the reverence attached to Baisakhi, both in its religious and cultural dimensions. The annual Baisakhi celebrations will be held from April 12 to 21. Apart from marking the beginning of the new Sikh year, Baisakhi is the time to harvest the rabi crop. Baisakhi 2019 Date, History And Significance: How The Harvest Festival Vaisakhi And Sikh New Year Is Celebrated In Punjab. According to reports, it said the 2,200 visas were in addition to those granted to Sikh pilgrims participating in the event from other countries. This gesture by Pakistan is seen as sign of easing of tension between the two countries, and came nearly six weeks after the Balakot strike and subsequent Pakistani retaliation. A large number of Sikh pilgrims from India visit Pakistan every year under a framework of Indo-Pak protocol on visits to religious shrines. In the same way, Pakistani pilgrims also visit India. The High Commission said that the Sikh pilgrims from India, during their visit to Pakistan, would go to Panja Sahib, Nankana Sahib, and Kartarpur Sahib. Pakistan said it remains committed to preserving sacred religious places and extending all possible facilitation for the visiting pilgrims of all faiths. "We extend our profound greetings and felicitations to all our brothers and sisters celebrating this auspicious occasion and wish the visiting pilgrims a spiritually fulfilling journey," he said. In the last week, Pakistan announced that it will release 360 Indian prisoners, mostly fishermen, this month in four phases, as a "goodwill gesture. Out of the 360, 100 fishermen returned to India on Monday.